The LifeWay Reader is moving to MyWSB.com! MyWSB.com is a new, free, web-based platform created to help you read and study the Bible online wherever you go. Anywhere you have an Internet connection, visit myWSB, and you can access Bibles, commentaries, study Bibles, reference works, and more online. Once you've added a book to your library, not only is it available on myWSB.com, but it will sync to the WORDsearch® mobile apps. Save your work in either of these places, and you'll be able to access it no matter what device you happen to be using. With the latest version of iOS (12.1.4), this app will allow you to browse the store, buy a book, and apparently download the book. But, when you go to read the book, you get an error message that says, “You cannot browse this page at “localhost” because it is restricted.” Fortunately, the book I can’t see only cost me $1.99. Please let me know if there is a fix for this. 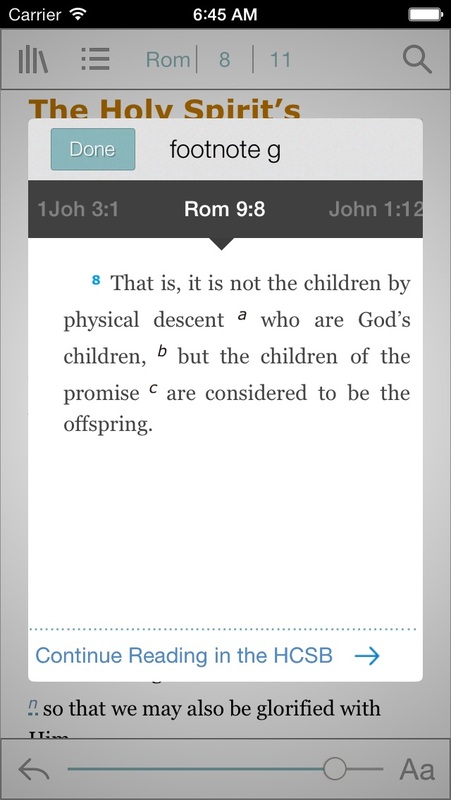 It is sad to say that a Christian app could be so terrible. I am legally blind and to use the accessibility features on my iPad with this app is extremely stressful. 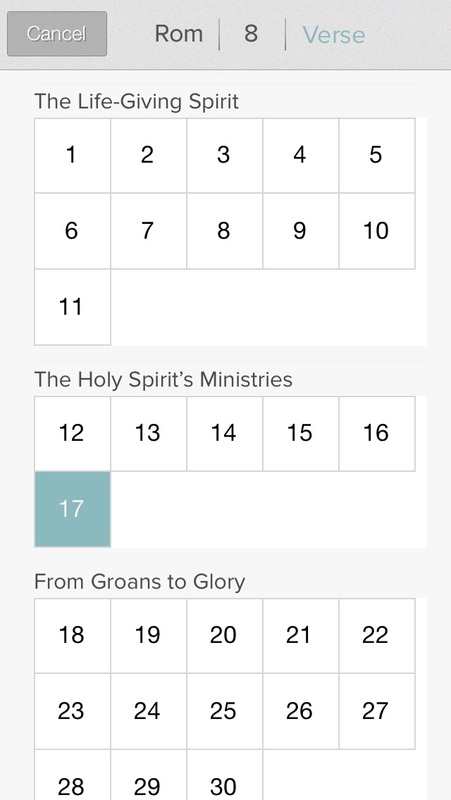 It is sad that Lifeway will not repair and improve their app. The one I use for my Sunday School lessons is just as bad as the reader. Sad and discouraging! PLEASE HELP!! The reader needs to allow user to enlarge or zoom in on the text. It is very difficult to read many of the charts and diagrams because the text is too small. This app is AWFUL!!!!!!!!!!! It won’t even let me log in. I am enjoying the study but finding the app frustrating. This app is far inferior to other apps I use to read books. It does not scroll smoothly and at times will jump back to the beginning of the chapter. I’m sure I am doing something to trigger this, but I don’t know what. Worse, when I highlight something, the section I highlighted along with another line or two disappear. I have figured out if I quit the app and restart it the text is back, but this is frustrating. Where are the page numbers? This makes properly referencing pages difficult. Fix this so that I and many others can reference their books. 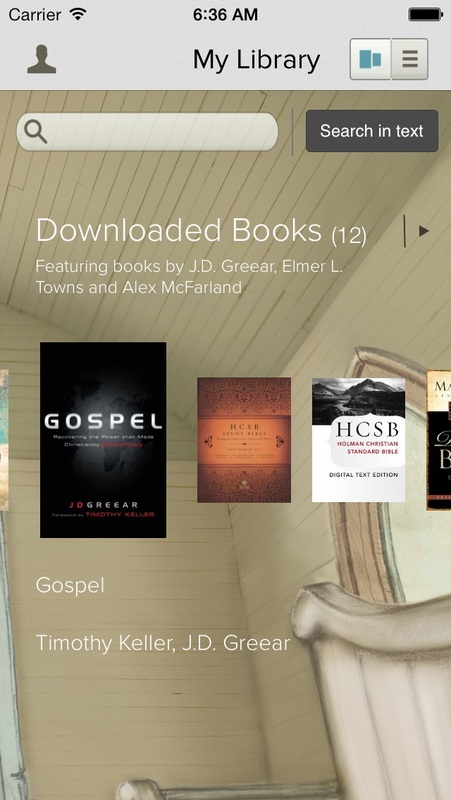 Don’t buy Lifeway Download books. Reader app doesn’t work. 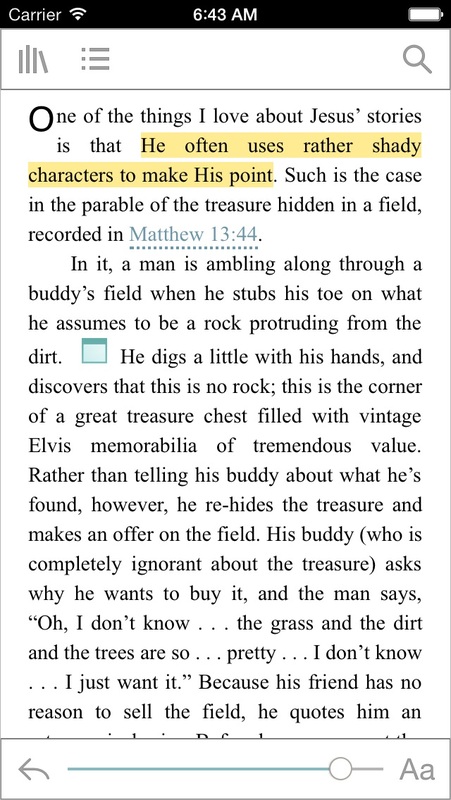 I downloaded a bible study book, and the only way to open it was with this reader app. While the website says other sites allow you to open/read, this is incorrect. Problems: 1) when I attempt to highlight a section, it DELETES the text. No way to get it back. There is no ‘delete’ feature so this is a mystery. 2) the TEXT feature does not work. At all. 3) touching various chapters in the book does not always take you to that location. 4) no way to communicate with anyone at Lifeway about a refund; just an online blog type of similar questions. There is a live chat feature which does not work on the weekends. :( So I now have a partial book, with the sections that are important to me deleted. I see why this app has a 2.7 overall star rating. Our church was a Leader Guide short for the Winter 2018-2019 quarter so I thought a digital copy on my iPad would suffice however I was wrong. There is no flipping between the course material and commentary. Instead you must scroll down a full page to read about the point the author is making. Then scroll back up to find where you left off. None of the highlight or marking features would work on my iPad. Basic formatting of this app is so limited I can only compare it to a scroll! LifeWay has great material but this app isn’t one of them. Wasted the cost of a digital download to find this out. My college course uses LifeWay for textbooks. I wish I had known about the app sooner because the website reader is not mobile friendly at all. I didn’t discover this one until there were only about 2 weeks left in the class. For books that the reader actually downloads it works well. However... it won’t download all the books available. Gets a “request timed out” error after a few minutes.